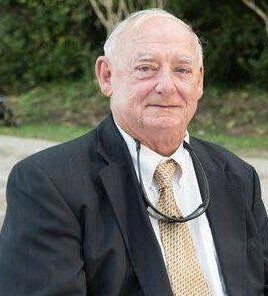 Reid Whitford White, Jr., 72, of Kinston, passed away on Saturday, March 23, 2019 at home. He is preceded in death by his parents, Reid Whitford White, Sr., and Beulah White. Reid is survived by his wife, Amelia King “Bea” White; sons, Fletcher White and Tom White; grandchildren, Thomas White and Jonathan White; sister, Sue Martin and husband John of Atlantic, NC; brother, Reverend Clint White and wife Lynn of Topsail, NC; numerous nieces, nephews and friends at Minnesott Beach; special friends “Clab” White, Jimmy Smith and John Jenkins. Visitation will be held from 6:00-8:00 p.m., at Howard-Carter Funeral Home, on Tuesday, March 26, 2019. Entombment will be held at a later date.